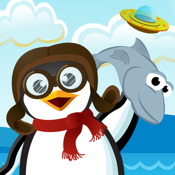 Help the hungry penguins to get their fishes! Guide Mr. Seal and use his belly as a trampoline to bring the penguins easily to the other side while collecting bonus fishes and avoiding springy ice bears and rolling ice cubes. 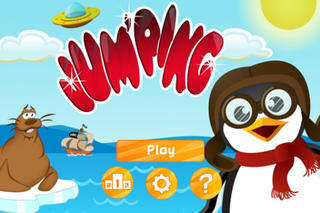 Don´t be fooled by flying UFOs, fearful pirates and mysterious submarines and tap your way to the top of the highscores. It`s easy to learn, but hard to master. Get this outstanding Jumping adventure for your iPhone! Tilt your iPhone or tap Mr. Seal and move him with your finger so that the penguins can use his belly as a trampoline.